Monster Self Storage offers premium Westminster storage units for rent with competitive pricing. Our storage spaces have been designed to exceed your expectation and provide the ideal environment for your unique needs. At Monster Self Storage, we offer traditional and temperature-controlled storage in a variety of sizes. From smaller 5x5 units, to medium 10x10 units, to our largest 10x20 units, you’re sure to find the perfect amount of space to meet your needs. Our facility also features 24-hour video security monitoring as well as motion-detecting lights to give you additional peace of mind. Let Monster Self Storage be your one-stop shop for moving and self storage. If you rent your Westminster storage unit but forget to grab extra tape or boxes, take advantage of our available packing and moving supplies. Upon move-in, we provide complimentary dollies and carts to help make your experience a smooth one. We meet your demands for moving and storage solutions with 24-hour gate access, 7 days a week. And our onsite management team delivers exceptional customer service with a smile. Renters looking for uncovered RV, boat, and motorcycle parking find the perfect space at Monster Self Storage. 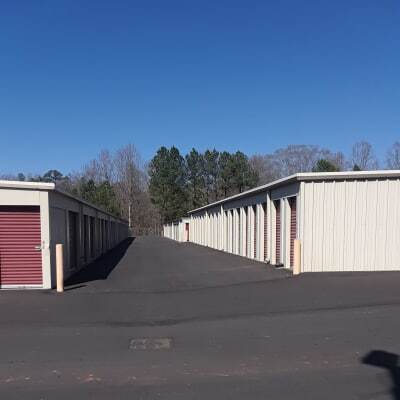 Our facility also includes wide driveways as well as high ceilings in all of our storage units, so you can get the most value out of any space you choose. Ready to get organized with self storage? Browse our selection of units and easily rent online. If you have any questions, feel free to call our experienced management team.